That was the one-way conversation I was having the other day with my 7 year old. I have been thinking a lot about why my own kids and the kids I minister to outside of my home aren’t appearing to hear me, and I have come to a conclusion. It’s my belief that children are slowly tuning us all out. Dr. Kevin Leman jokingly says that children nowadays are “unionized”. I believe him. There is very little that I witness with my children at home that I don’t see in the general kid population. In general, kids are slowly tuning all of us adults out. Well, I have made a few observations that are gleaned from my own introspection and my observation of those around me who are attempting to communicate with kids. Here’s why the kids don’t hear us anymore. 1. We yack too much. Less ordering, more engaging. If the orders and commands are coming too fast and too furious, they begin to sound like droning machinery. Dylan needs to be engaged in a conversation instead of just being barked at. After all, Dylan is a little human who just lost you after “coat”. Less commands, more conversation. Sometimes we need to give the commands once clearly, and that’s all. We need to allow the mistake to be made, and the consequence should be swift and immediate, and true to our word. Instead we often just keep yelling out the commands without any corrective action. Soon they just become a bunch of things with no meaning rather than words that should snap a kid to attention. Less talking, more listening. I find that people in general have poor conversation skills. There is way too much talking and feeding our own need to be heard, and way too little listening to the person with whom you are conversing. We need to sit and listen to children more. We need some moments of real conversation that don’t involve us barking out orders. What are they thinking about? What have they done today? Why are they doing that thing that you don’t want them to do? Perhaps if you take the moment to allow them to give their perspective, they may have something remarkable to say, and they may perceive you as someone that is interesting to chat with, making you also interesting to listen to. 2. We are annoyingly loud. A lot of the time, when we talk to children we address them as if we are preaching at a tent meeting to 600 people without a microphone. We don’t always need to be at top level. Sometimes we need to tone it down a smidge… okay a lot. If we are giving commands to children, they should not be made to feel as if they are lining up to be sent to the stockade. When we are communicating a message, it’s important to use different tones of voice. There is no need to constantly yell at kids. One of my good friends is a school teacher, and she is able to snap a large group of kids into listening mode with a very quiet and calm voice, because they are now intrigued by what she is saying in such quiet tones. So, in short, tone it down. Goodness, with all that noise, I’d tune you out too. Sometimes we as adults need to get ourselves a sense of humour. To that humour we need to add imagination. To that imagination we need to add creativity. Trying to imagine what would happen if aliens landed on the front lawn is not a useless exercise. It’s a moment to allow a child’s sense of silliness and wonder to rub off on you. To a child, that’s meaningful conversation. So try not to be so boring. Do something silly, for goodness sake. Silliness engages children, and an engaged child is a listening child. When I watched Charlie Brown as a kid, I remember thinking that the mother had nothing interesting to add to the real important story that was happening closer to ground level. Her words were, “Wah-wah, wah-wah…” and totally undecipherable. Whatever she was saying was not relevant. It’s funny in the cartoon because it’s so true. Are you relational with your children? Do you take the time to make yourself familiar with their culture (and they do have one). Sometimes we can’t help but be perceived as irrelevant. After all, we’re old. However, it’s always fun to throw your kids for a loop when you actually know what Moshi Monsters are, or that One Direction is not just something written on a road sign. Take the time to be an integral part of the story that is happening closer to ground level. Yes, I said that. WE are disrespectful. We want our children to be respectful to us while we model disrespect to them. Picture this: Your spouse is sitting at the computer, reading a really good blog post about something that interests them. Then you come charging into the room and demand, “Get off the computer! I’m ready to go!” Your spouse would have some choice words for you right at that moment. It seems ridiculous to use that approach on our spouse, but then we use that approach on children all the time. The difference with kids is that they know that there are consequences for speaking back to their parents in those moments, so their only defense is to tune you out and ignore you. It’s not okay to treat kids with disrespect. Let’s respect their privacy. Let’s respect their personal space. Let’s respect their feelings. Let’s respect their need to play. If we constantly model a disrespectful tone to our children, we can’t complain later when the same words come back in our direction like a boomerang. I’ve heard many parents say that their kids have “selective hearing”. In a way, I guess we all do. We all tune out what is annoying, what is redundant, what is repetitive, what is rude, and what is too hard to understand. But we do tune in the people who take the time to involve us, relate to us, and meet us where we are, because that is real conversation. Listening is a skill that needs to be learned. Like most skills, it’s best to learn when you are very young. What happens immediately after an instruction to a child is crucial. If an instruction is given (i.e. Please put on your coat now. We will be leaving soon.) and the child hears and obeys (i.e. listens),positive reinforcement should happen. Praise that kid. (i.e. Thank you for being such a big boy and getting dressed so well all by yourself.) Praise goes a long way to a child becoming a better listener (one who hears and does what he is supposed to do). 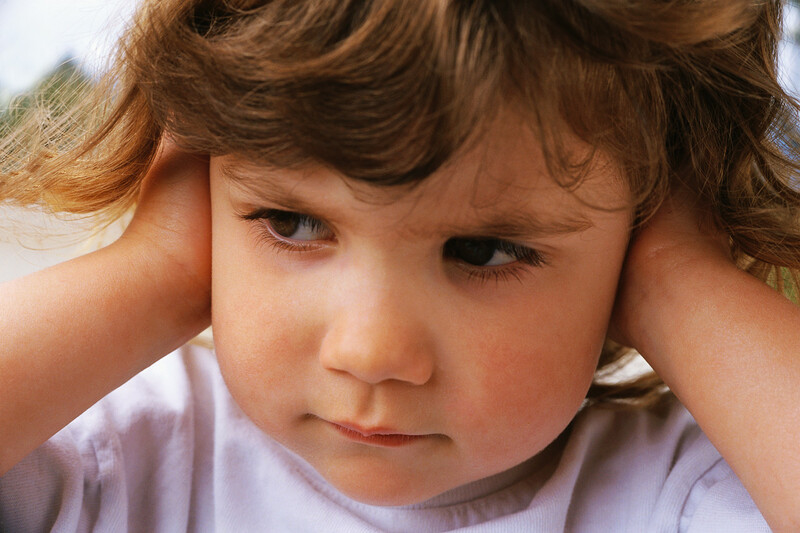 If the child hears but does not obey, negative reinforcement should happen. Parents need to decide what will happen if the child does not listen ahead of time and follow through. This also teaches the child that it’s important to listen to mommy or daddy. What happens all to often is that instruction is given, a child hears but does not obey and nothing happens. What that kid internalizes is that listening isn’t all that important. It is important! Listening to a parents’ instructions can save a child’s life. Getting first time obedience in my toddler stopped him from chasing a ball on to a street where a car was coming. The ball got hit. My son did not because I had trained him to listen to my voice. When I said, “Stop!” he did just as he was told. It takes training. I practiced simple instructions at home with my sons fully prepared for obedience or disobedience and followed through. It’s amazing how quickly young children learn. If they failed to obey a known instruction while we were out somewhere, it simply signaled to me that we needed more practice sessions at home. The older my sons got, the more I linked the sometimes dreaded practice sessions to their choices while out and about. Practice, practice, practice and a skill is not only born but perfected. Of course, I made sure there was plenty of other talk with my boys as well. It wasn’t all working on listening skills. Still, working on listening skills made the other talk much more enjoyable too. They had my full attention. I’m not sorry for the hours (yes hours!) I spent on training my boys to listen. It helped them succeed at school, be a joy to be babysat and grow into respectable young men. They are now teenagers who are a pleasure to be around. I don’t have to yell at them. I can simply ask. I don’t have to bribe them. They are reasonable with my simple requests. We can discuss things and enjoy ourselves at the same time. I treat them well. It’s not hard to. They are great kids. They treat me well too. It’s not hard for them. They’ve been trained to since they were very, very young.